Alfred Montague 1832 – 1883 was born in London in the early half of the 19th century. He was a painter of landscapes, Town Scenes and Coastal Scenes. His landscapes where mainly of England, Holland and France, his town scenes where mainly painted in Northern France and Belgium they are similar to those of Henri Schafer. 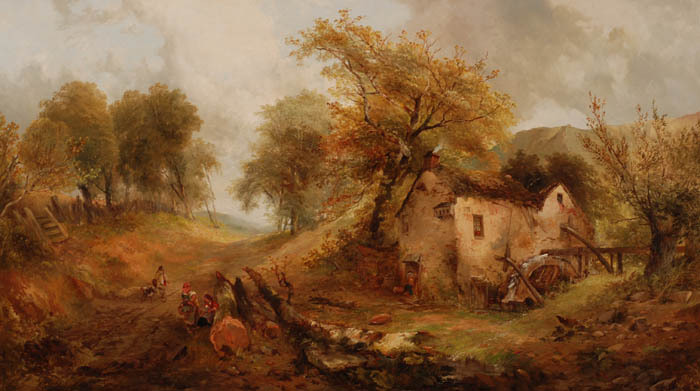 Alfred Montague was elected to the Royal Society of British Artist in 1843. He exhibited at the Pennsylvania Academy in 1847, the Boston Anthenaeum in 1852 and a regular exhibitor at the Royal Academy.